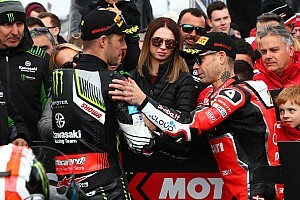 Petter Solberg scored enough points in Italy this weekend to secure him the inaugural FIA World Rallycross Championship! 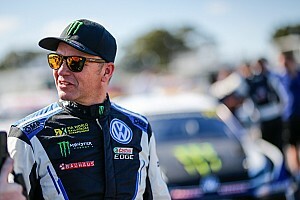 Norway’s Petter Solberg has entered the record books after becoming the first FIA World Champion in two different disciplines. He scored enough points in Italy this weekend to secure him the inaugural FIA World Rallycross Championship presented by Monster Energy. 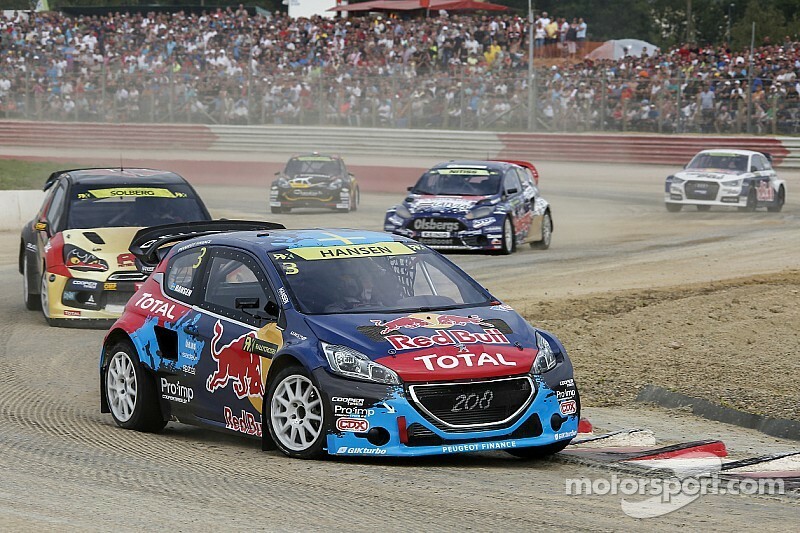 After a sensational performance for Team Peugeot-Hansen, Timmy Hansen was awarded the World RX of Italy event victory. Supercar debutant Richard Goransson finished runner-up. Solberg’s podium position at the Franciacorta International Circuit has seen the PSRX driver stretch his lead at the top of the standings to 60 points with two events still remaining. Topi Heikkinen is currently second behind Solberg in the overall standings but with Solberg having already won four events this season to Heikkinen’s one, Solberg automatically becomes World Champion based on his higher percentage of event victories. “This hasn’t sunk in yet, it is a dream come true,” grinned Solberg who is now a World Champion in both World RX and WRC. “When I stopped rallying, I didn’t know what to do and then IMG took on rallycross and brought it to an amazing level so now it seemed like the right choice. I broke the right-rear suspension in the final and my spotter was shouting on the radio that I needed to calm down because all I needed to do was get to the podium and I would win the Championship. Arguably the most impressive drive of the weekend, however, was that of 21-year-old Hansen who looked virtually untouchable in his Team Peugeot-Hansen prepared 208 Supercar. Hansen, the son of multiple European Rallycross Champion Kenneth, won the Monster Energy Super Charge Award, two heats, his semi-final and the all-important final to take his first ever World RX victory. This has been my first ever Supercar event and I would have been happy to have made the semi-finals, never mind second overall. Alongside Goransson in the final driving a second Fiesta was regular Ford Olsbergs MSE driver Andreas Bakkerud who retired on lap two after a string of misfortunate events over the weekend. He finishes the event sixth overall. Bakkerud’s team-mate Reinis Nitiss was still in the title fight with Solberg but the 18-year-old’s chances of the World RX title was shattered when Nitiss was knocked out of the semis. Sweden’s Johan Kristofferson led the Intermediate Classification stage yesterday and another strong performance today saw the VW Polo driver finish fifth in World RX and second in European. Italy also marked the final round of this year’s FIA European Rallycross Championship (Euro RX), which Robin Larsson won after finishing seventh in the Intermediate Classification stage. 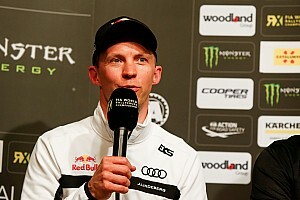 Monster Energy World RX Team driver Henning Solberg finished runner-up in Euro RX after reaching today’s semi-finals while EKS RX driver Pontus Tidemand was awarded third. “It feels great to be European champion. We’ve been struggling all weekend with engine problems so we didn’t have the power we wanted. We have just been safe in all four heats and managed to finish them,” said Larsson, who follows in his father Lars’ footsteps by winning the title. Russian driver Sergej Zagumennov claimed the European Super1600 crown at the Intermediate Classification, while Russia’s Nikita Misyulya went on to win the event. Misyulya finishes the year 18 points behind Super1600 champion Zagumennov who amassed a total of three event wins over the course of the season. Janis Baumanis was awarded third. 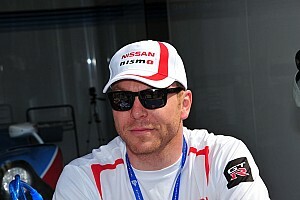 Swede Daniel Lundh sealed his name on the TouringCar championship, while Torleif Lona finished second in the standings. Anders Braten took the event win and also ends the year third overall. Martin Anayi, World RX Managing Director for IMG Motorsports, concluded: “Firstly, congratulations to Petter Solberg who has gone down in history today after becoming the first person to win two different FIA World Championships. Solberg and the entire PSRX Team have worked incredibly hard since their torrid season last year and are very worthy title winners. Even though Solberg has taken the majority of the limelight today after winning the title, Timmy Hansen’s light-to-flag victory today must not go under the radar. I have witnessed the huge effort that the entire Team Peugeot-Hansen has put into this year and I’m pleased that the team have finally got the win that they truly deserve. As well as the World RX title, we have also seen Championships won in Euro RX, Super1600, TouringCar and the supporting RX Lites Cup which was won by Kevin Eriksson today with one round still to go. The penultimate round of the FIA World Rallycross Championship will take place at the former F1 venue of Intercity Istanbul Park (Turkey) in just under two weeks time (11-12 October). Why Ken Block matters. A lot.